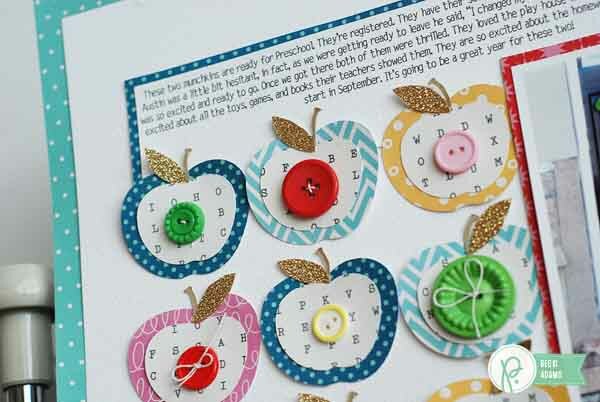 September 2014 - Page 5 of 5 - Pebbles, Inc.
Hello, it’s Becki here to share a layout with you that I created using lots and LOTS of apples. This layout documents my little man and my niece starting preschool. I may have gotten a little carried away with the apples theme but I love the bold “back to school” feel that the apples give to the layout. 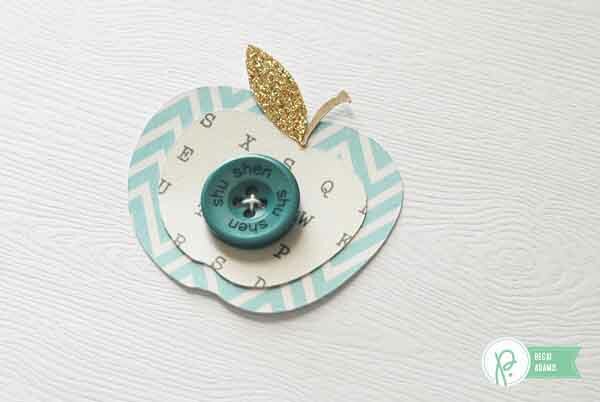 The apple embellishments are so easy to make. I cut several apples with my Silhouette in two different sizes and many different colors and patterns. The smaller, inside portion, of the apple I cut with the same patterned paper. I wanted the apples to have a little bit of continuity. Then I simply stacked a smaller apple onto a larger apple. 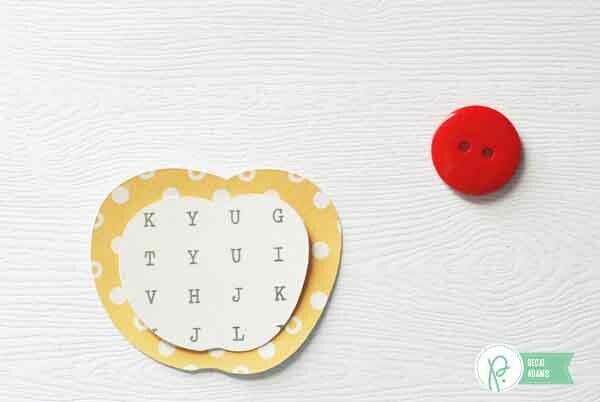 Don’t forget to add a little bit of twine to the center of the button. After adding a gold leaf and the stem my embellishments were complete. 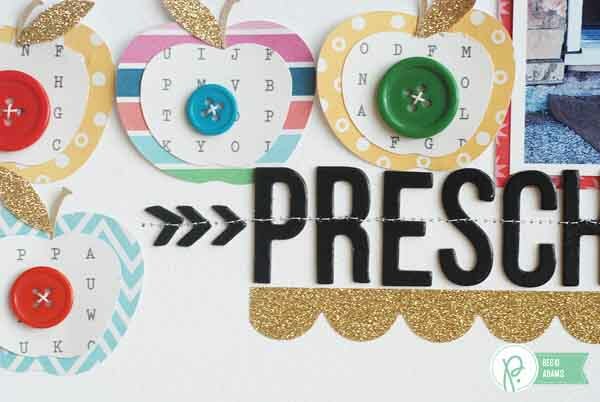 I love the impact the repeated apple embellishments add to my project. Are you using apples on your back to school projects? 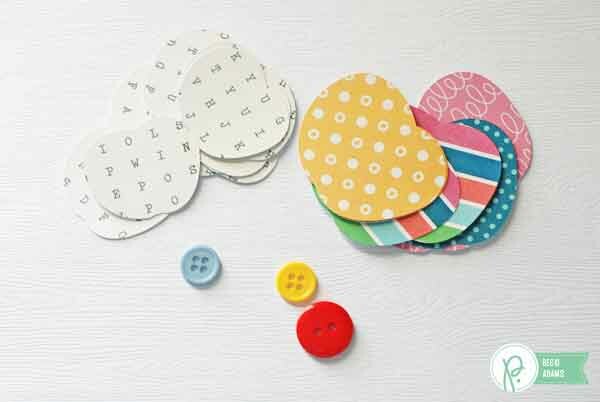 Try making these fun embellishments for your back to school projects. Thank you for stopping by the Pebbles blog today! From all of us here at Pebbles, we hope you enjoy your holiday and get to spend some quality time with those you love most. 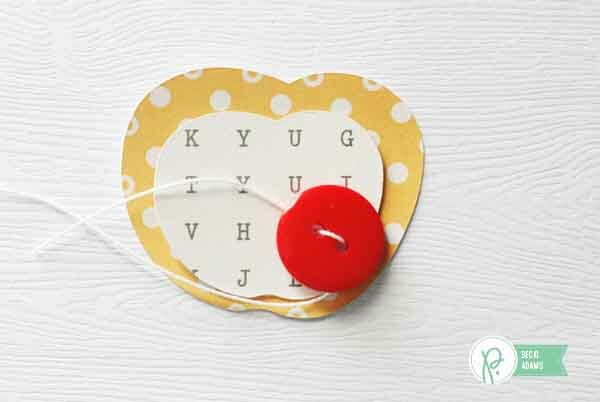 And maybe, just maybe, you’ll get to squeeze in some crafting!